I knew I was in the right place, the moment my bus halted in the middle of no-where with sun rising through the huge boulders surrounding the open land. 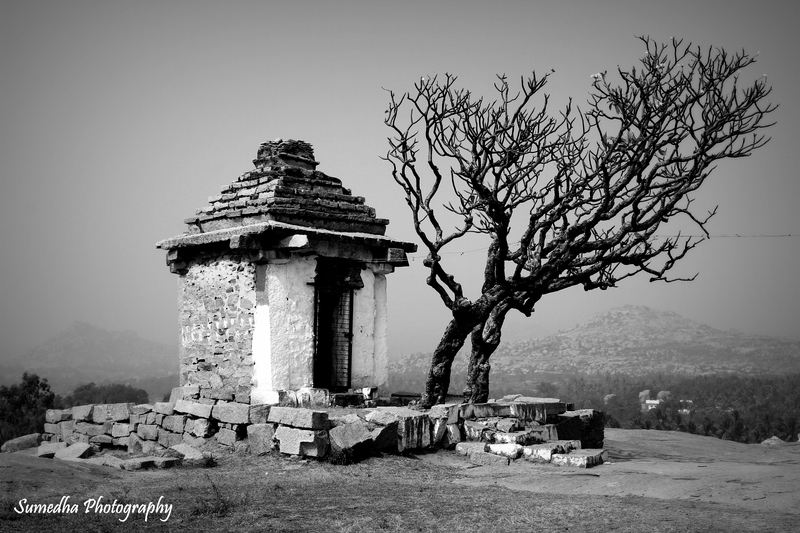 Hampi as a place needs to be felt to see its charm. This stunning UNESCO site is adorned with mighty boulders, lush green landscapes, a splendid river, magnificent ruins of ancient history and stories of the rich heritage of the 14th century. It truly is a paradise for photographers and history enthusiasts. 1. 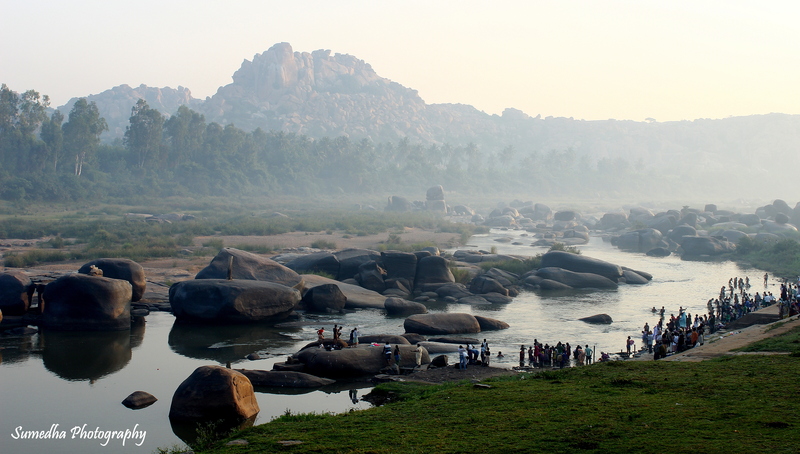 Locals take bath and get ready for the day’s chores, by the banks of the Tungabhadra River, as a daily ritual in the morning bliss of this spectacular place. 2. 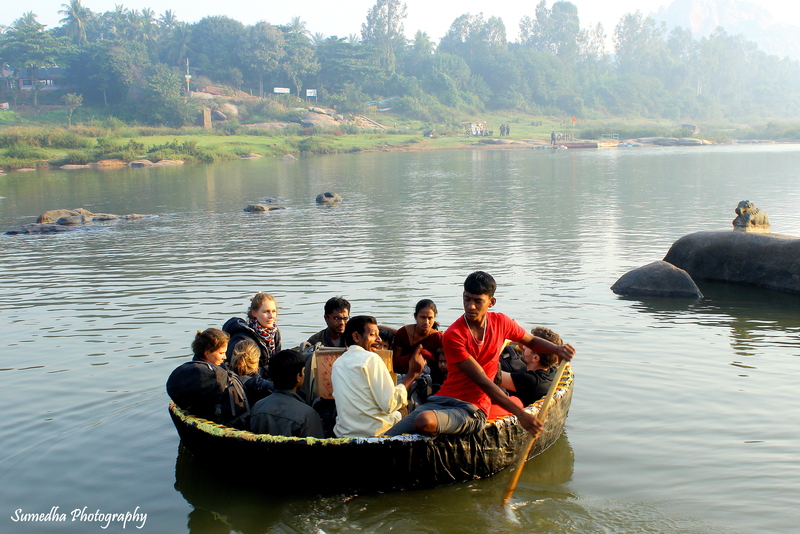 The locals earn their livelihood through the Coracle boats by transporting people across the river throughout the day. The ride in these sturdy boats is enjoyable. The boats are also used for fishing. 3. There is cultivation and greenery even on the land of boulders. The soil is rich to cultivate rice, coconut and banana. 4. Numerous cuisines are available in the laid back cafes throughout Hampi. 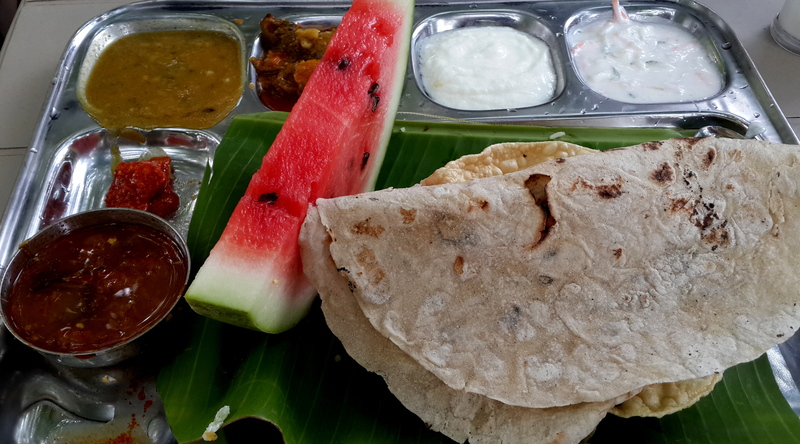 But experiencing an authentic north Karnataka meal was delightful. 5. 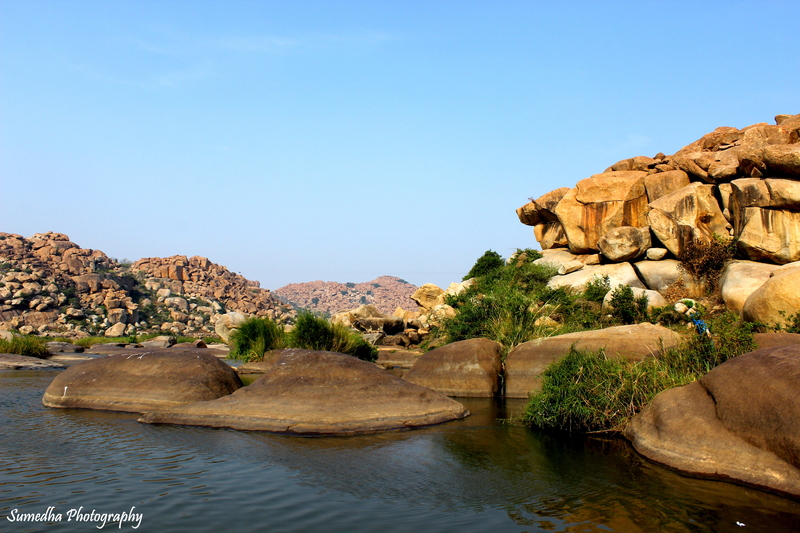 Hampi is full of boulders of different size and shapes. And walking or riding through these boulder hills is a mesmerizing experience. 6. The remains of temples and palaces transport you to a different era and tell you sagas of the Vijaynagara Empire. 7. Hampi has remains of many marvelous temples which were broken by the invaders. 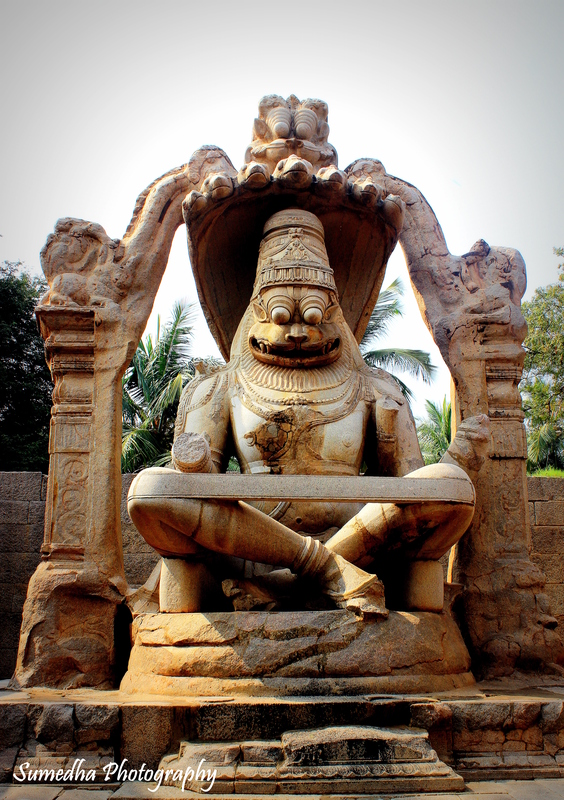 Ugra Narasimha is the biggest idol in Hampi with a height of 22 ft.
Badaviling Temple is a 3 mts. 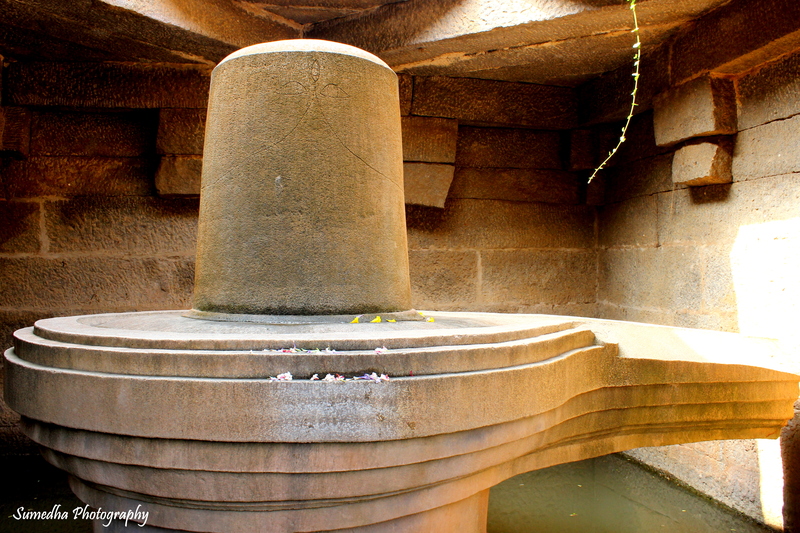 high shiva linga, a monolith structure (Carved out of one rock). 8. The charm of the old palaces can still be felt. 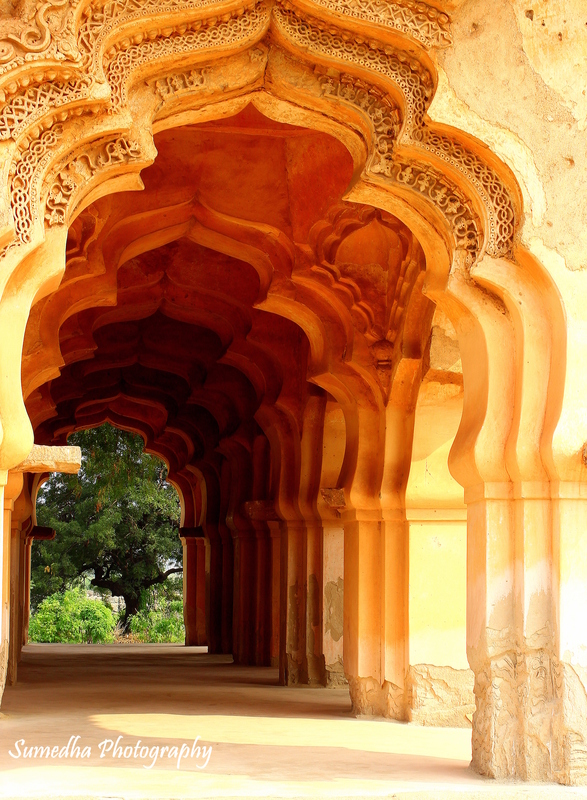 The King of Vijayanagara ‘Krishnadevaraya’ would rest in the cool shadows of this Lotus Mahal! 9. 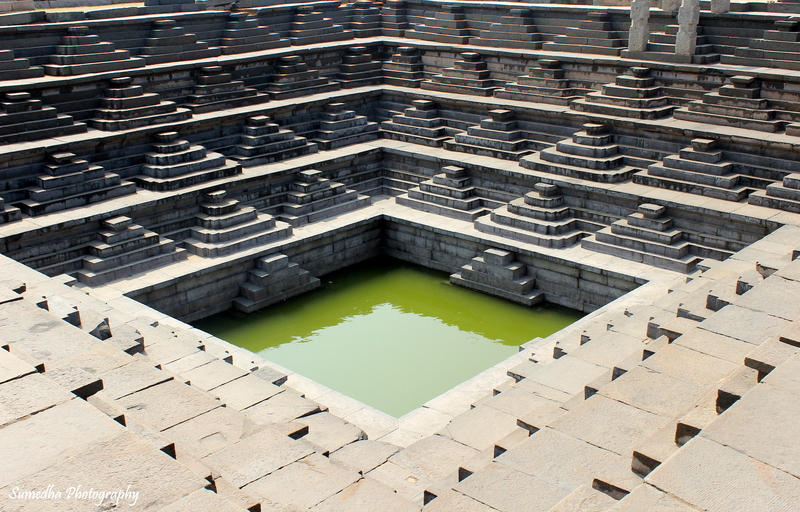 The architectural brilliance of Hampi will astound you every time. Stepped Tank is a beautiful ornate tank with 5 tiers each comprising few steps which are symmetrically laid and bearing the mason mark for the ornamental members, indicating their exact location. 10. 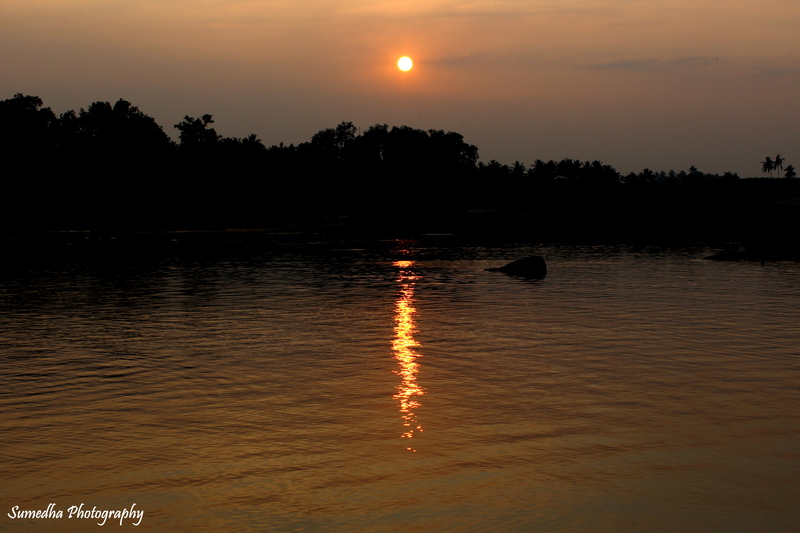 Sitting by the Tungabhadra River, on looking the golden sunset on the land of golden history is the finest way to enjoy the evenings. 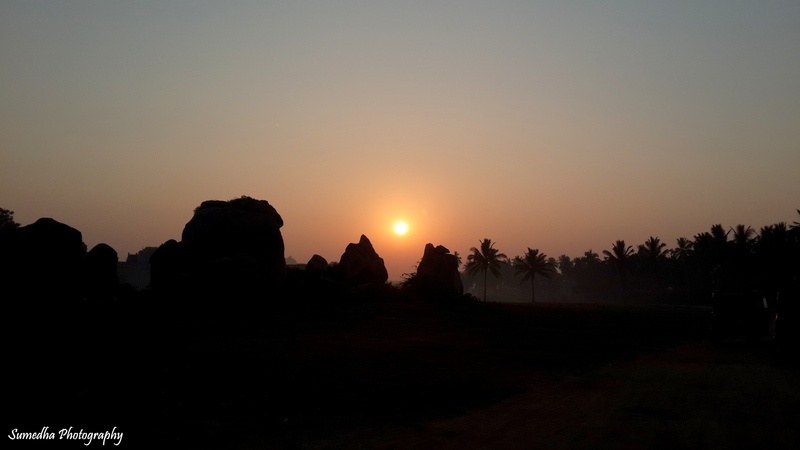 How was your experience exploring Hampi? What captured your heart the most? 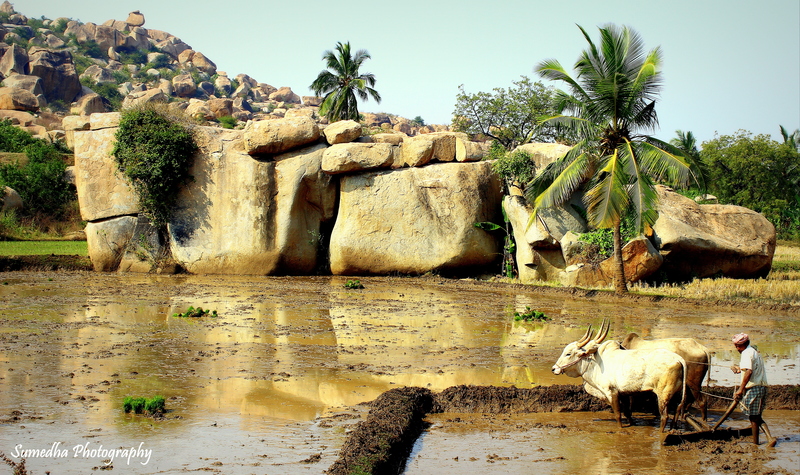 This entry was posted in Uncategorized and tagged architectural beauty, Boulders, Hampi, heritage site, history, karnataka, monuments, Ruins, unesco on January 27, 2015 by Sumedha Joshi.